Lawrence Raab has been revered as a quietly magnificent poet. As friends and students have long known, for decades he’s also been a virtuosic teacher. In this first collection of his contemplative essays, Raab ponders works that keep mattering to him as a working writer, with fresh considerations of Edwin Arlington Robinson and Thomas Hardy, Wislawa Szymborska, Ben Jonson, Henry James, Gertrude Stein, Lewis Carroll, the artist René Magritte, and Robert Frost. Reading with his touchtone of “truthfulness,” a literary maestro meditates on authenticity, ambiguity, and endings, and with “In a Different Hour: Collaboration, Revision, and Friendship,” he offers a fascinating chronicle of prolonged, generative exchange with poet Stephen Dunn. Lawrence Raab was born in Pittsfield, Massachusetts, and received a BA from Middlebury College and an MA from Syracuse University. 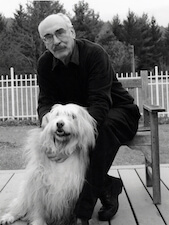 He is author of ten collections of poems, including What We Don’t Know About Each Other and Mistaking Each Other for Ghosts, both finalists for the National Book Award. He has received grants from the National Endowment for the Arts, Massachusetts Council on the Arts, and Guggenheim Foundation as well as numerous residencies at Yaddo and MacDowell. He teaches literature and writing at Williams College.